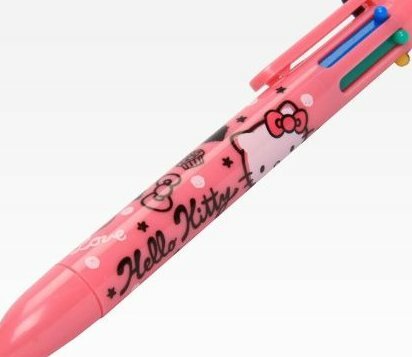 Hello Kitty 6 Color Ball Point Pen - Squiggle. 6 Color Ball Point Pen. H 5-1/2in x L 1/2in x W 1/2in.